No, that’s an ambitious claim. 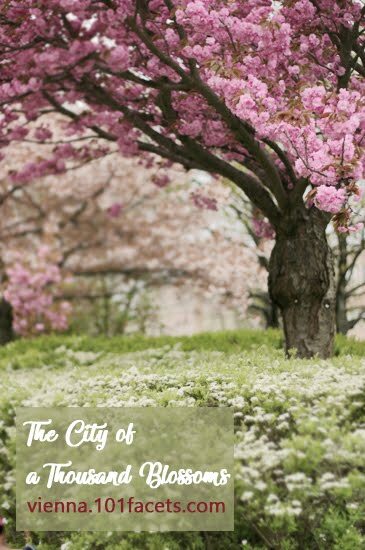 I’m sure Holland, Umbria, Ashikaga (and the whole of Tokyo), Cotswold, Ottawa, Lake Tekapo, Provence, Amalfi Coast, Washington, Versailles, Vancouver, and Baguio city among others would top the list of places with the most flowers in a season. 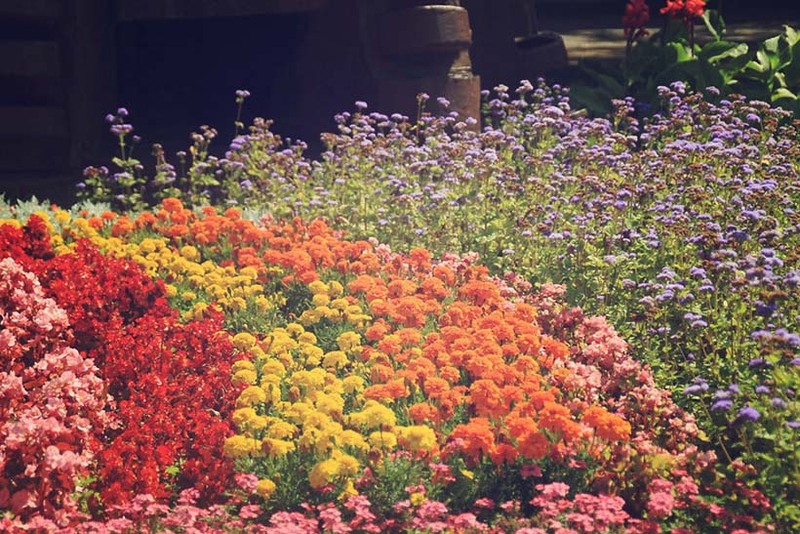 Considering that these cities have hectares of flower fields to display millions of the same type in different colors, Vienna’s floral display would pale in comparison. 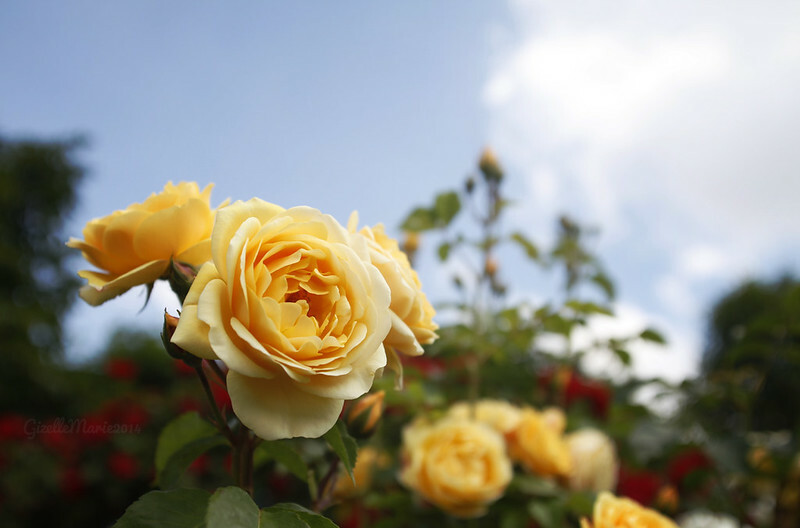 Thanks though to the Unsere Gärten team, we are able to see a lot of colors, and smell fragrant flowers whenever we stop to enjoy them. 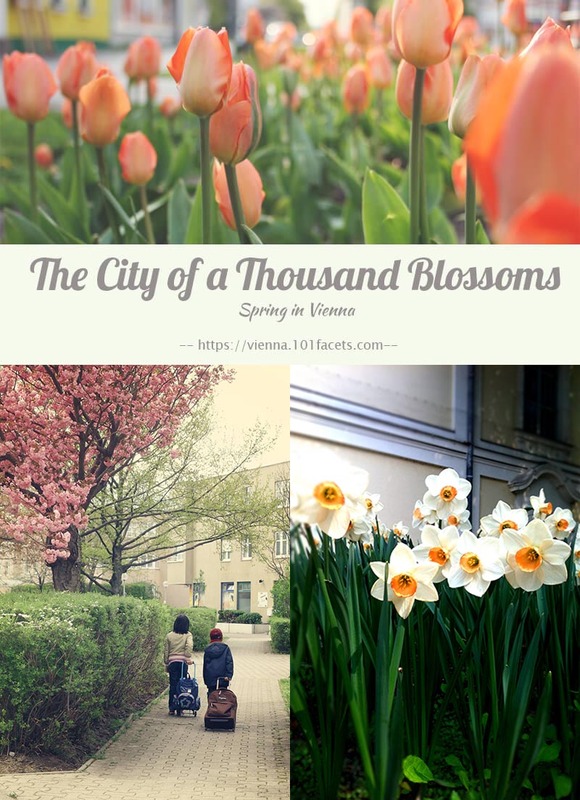 Here are some of the spots in Vienna where the flowers are in full bloom come spring. 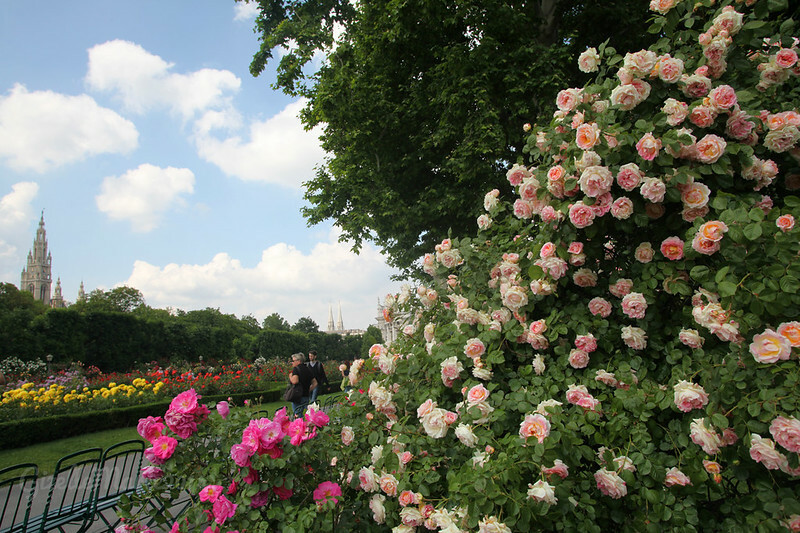 Rose wall with a view of the Rathaus tower. Photo shoot by the rosebushes. 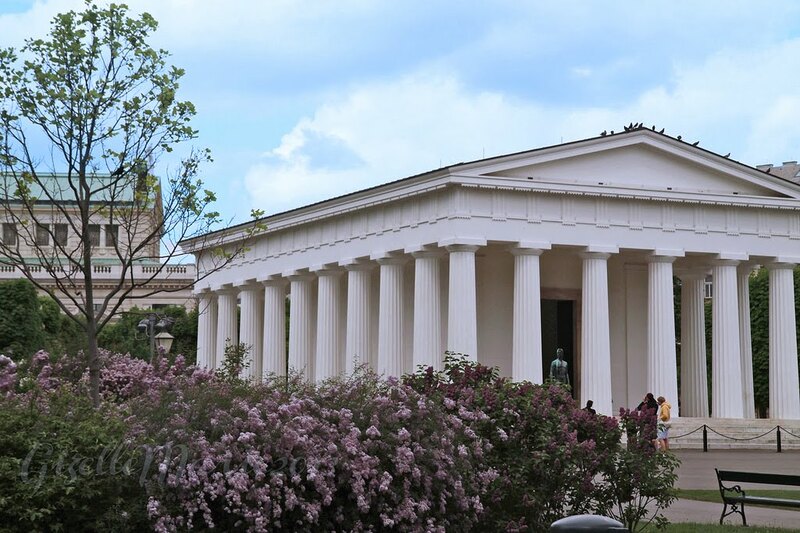 The Volksgarten is located at the courtyard of the Hofburg and is opposite the Parliament building. Opening Hours: The park is open on April until October from 6:00 A.M. to 22:00 P.M. and on the months of November until March from 7:00 A.M. to 17:30 P.M. Nearest Train Station: Volkstheater (U3 Line) walk, also accessible via trams D, 2, and 1 that circle the Ringstrasse. 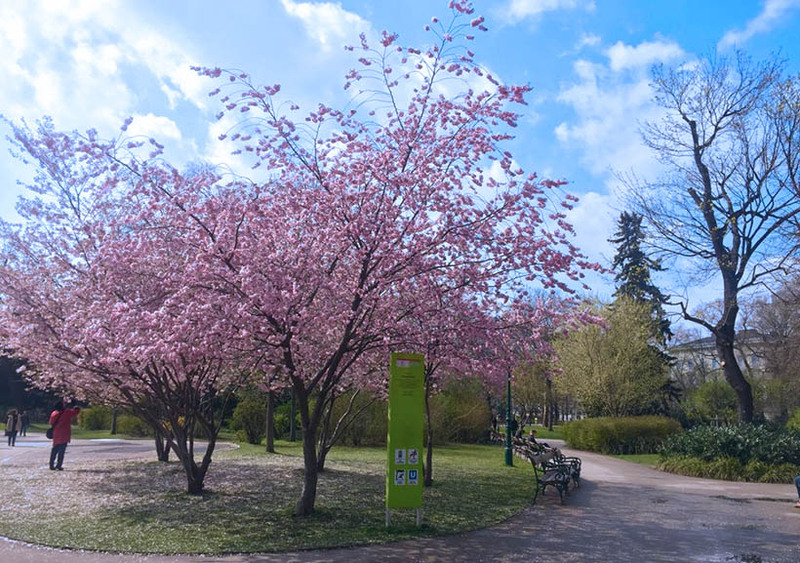 If you can’t visit Japan for Hanami, Vienna’s Setagaya Park is a good substitute. The park has a pond, home to mandarin ducks, carps, and turtles. 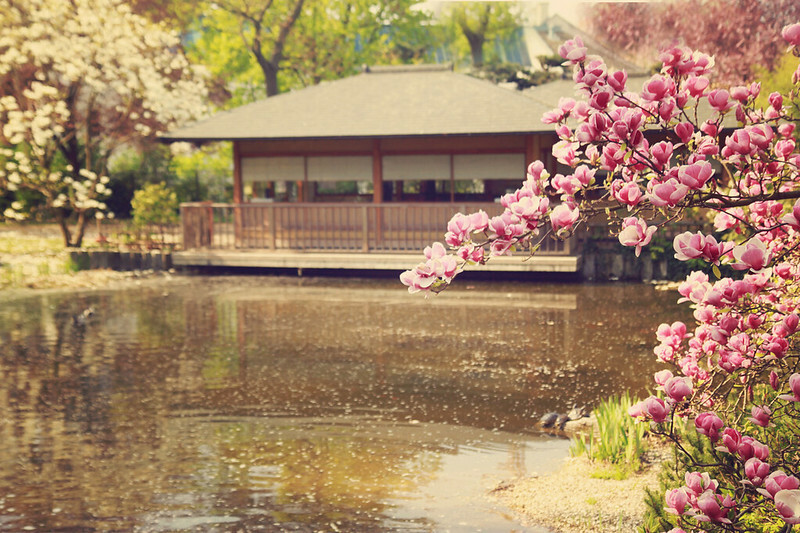 The park is very Japanese in characteristic, with a wooden bridge, a mini-waterfall, a wooden house where Ikebana is thought. 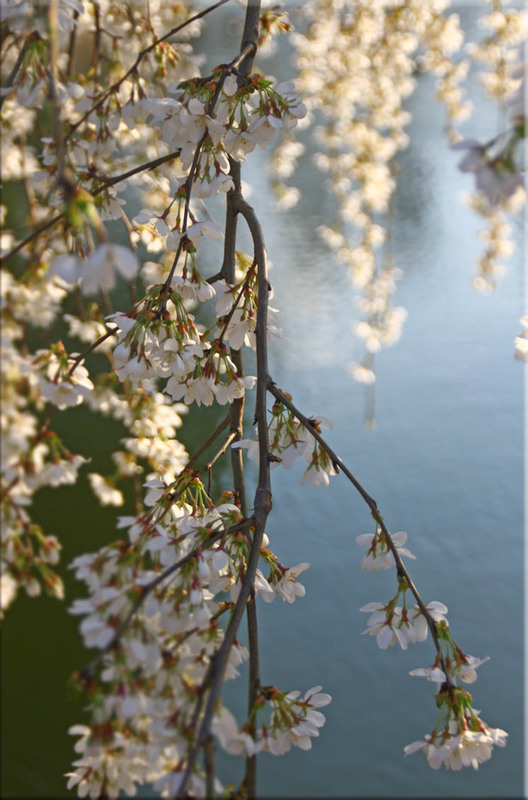 In April, the cherry trees, pear trees, magnolias will be in full bloom…but as these trees’ purpose is only to be beautiful, the flowers will wither away in just a few days. 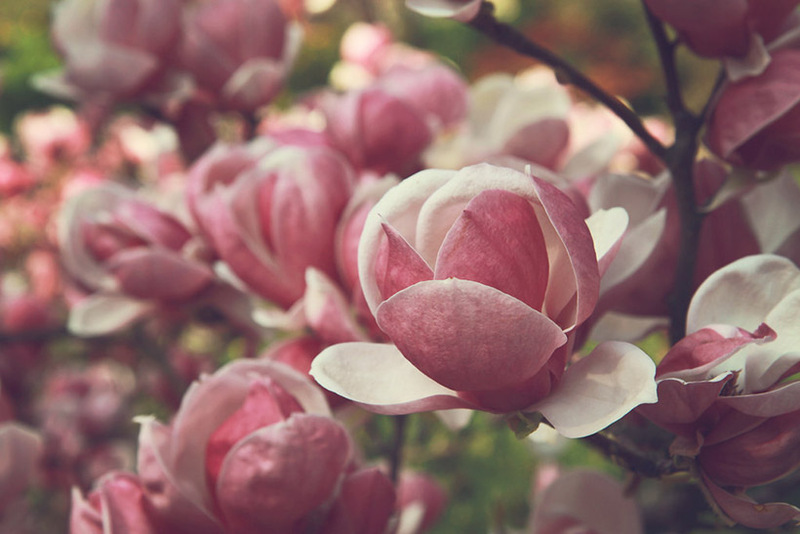 Which from the point of view of those who enjoy nature as much as I, is the perfect chance to take photos as well: petals cover the ground, and it’s pink all around, what’s not to love? Magnolias and the Japanese house at the background. Smaller bridge further up the garden. Opening Hours: Closed from November 1 until March 31. Alternative Route: Nussdorferstraße (U6 Line) or at Schottentor (U4 Line) and take tram 37 going to Hohe Warte and get off at Barawitkzkagasse. 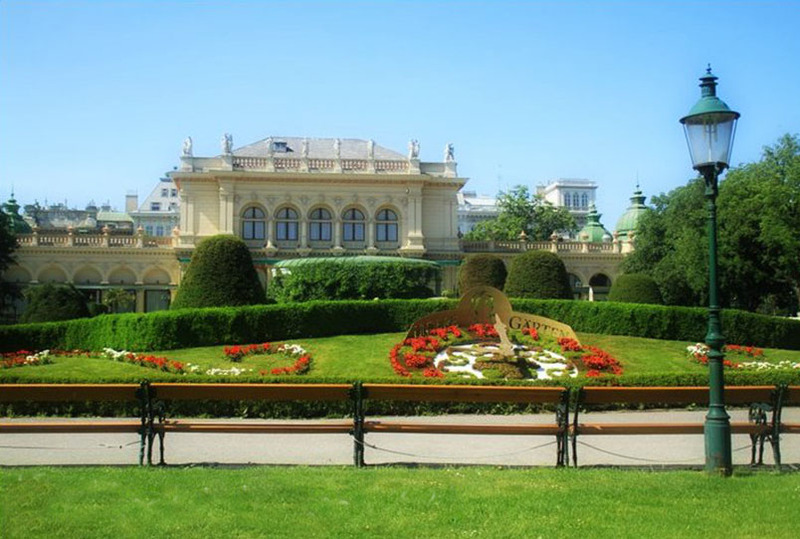 Vienna’s most visited palace is a vast landscape of different trees, plants, and flowers along with the buildings that represent baroque, rococo, roman, and other architectural styles. The palace front doesn’t display any flowers, just trees and fountains. But if go to the right wing, you’d be delighted to see the blossoms already thriving. Rose bushes line up the wall and two arc trellis are set up, one with wisterias and the other with roses. 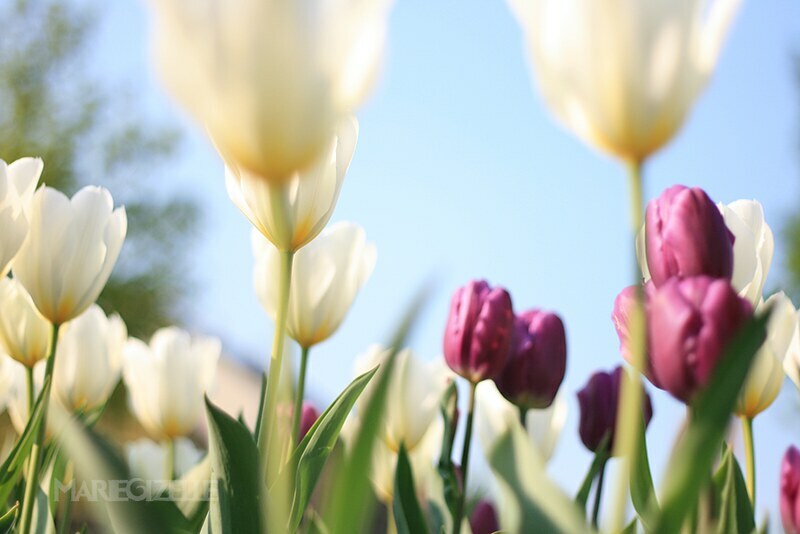 In between there will be a landscape that sometimes have tulips, sometimes smaller flowering plants. Heading to the greater garden at the back, there’s a landscape that stretches until almost the Neptune fountain. The whole landscape is often shown in an aerial view on TV shows. There are four plant houses in Schönbrunn. These are the palm house, the rainforest house, the desert house, and the Orangerie. The palm house cares for many tropical plants. It is a glass house with more than 40,000 sheets of glass measured at 4.900m². After being destroyed by three bombing hits on February 7, 1945, the house reopened on January 14, 1953. 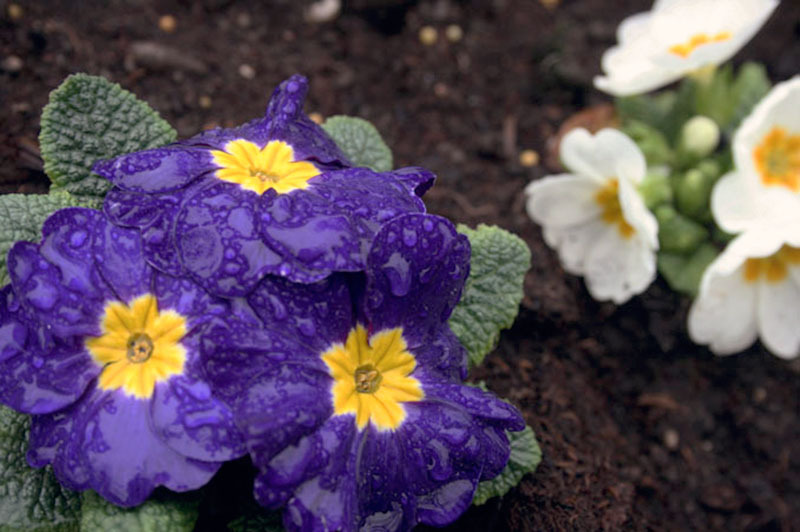 Opening hours: The Palm House is open all year round. Notice that from 01. May until 30th September, it is open from 09:30 until 18:00 (last admission 17:30). From October 1st until April 30th, the Palm House is open from 09:30A.M. to 17:00P.M. (last admission 16:30). 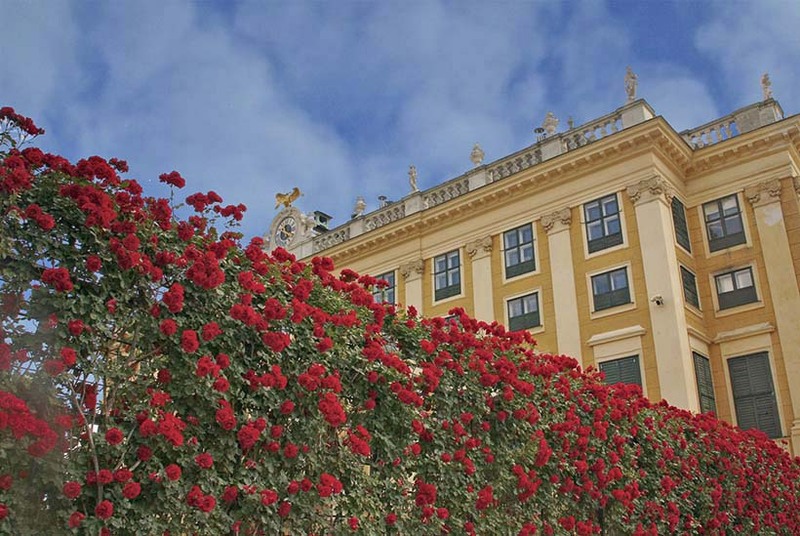 Roses on rail at the side of the Schönbrunn palace. 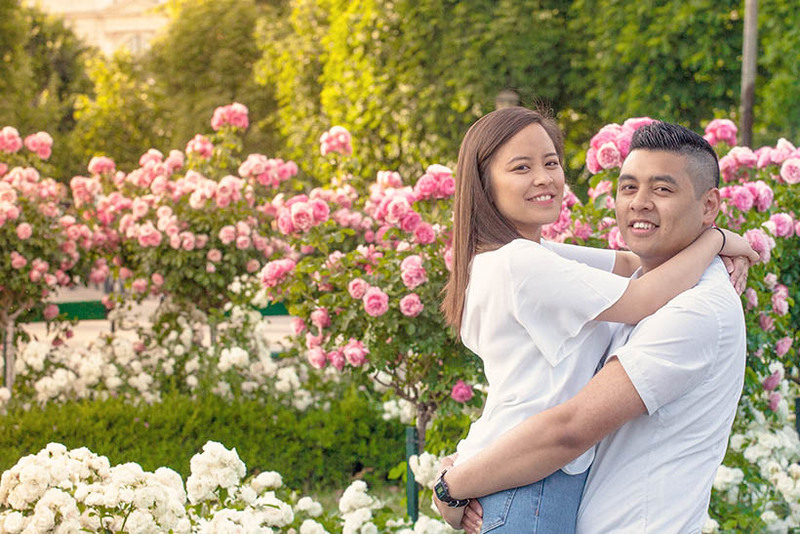 This is Vienna’s biggest park in the middle of the city, it’s like a sanctuary inside a very busy city for those seeking quite and calm from everyday hustle and bustle. 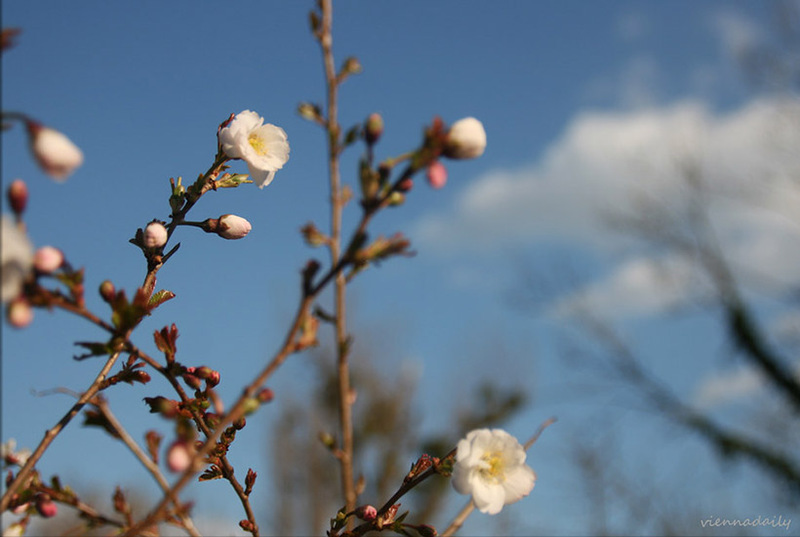 There are various plants in the park, that even when winter, flowers can still be seen. There’s a long line of wooden benches to relax on, simply bring a book and a sandwich and you can have a relaxing lunch even for a few minutes. In summer, the grasses turn into picnic tables for most visitors. There are events that are sometimes held at the park, food trucks are at times there, but there’s a lone mobile coffee shop you can find if you need some energy boost. Although the Kursalon is just at the entrance if you feel a bit more fancy. 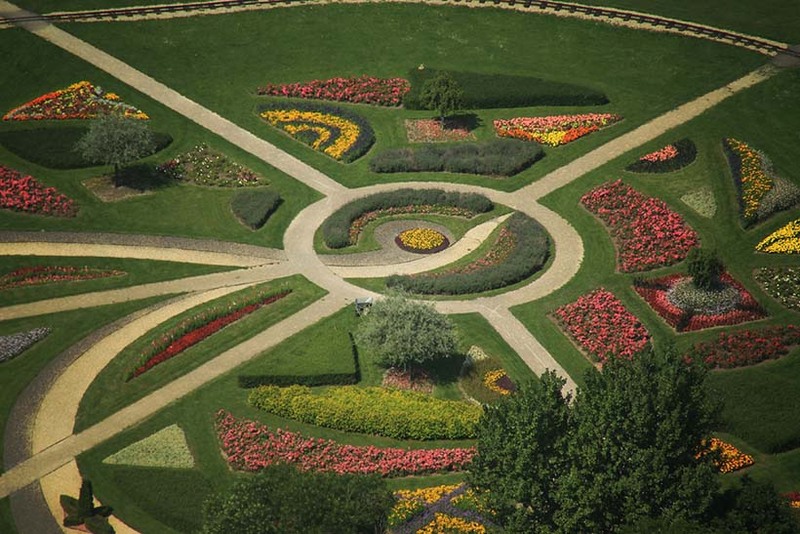 Flower clock at the Stadpark. 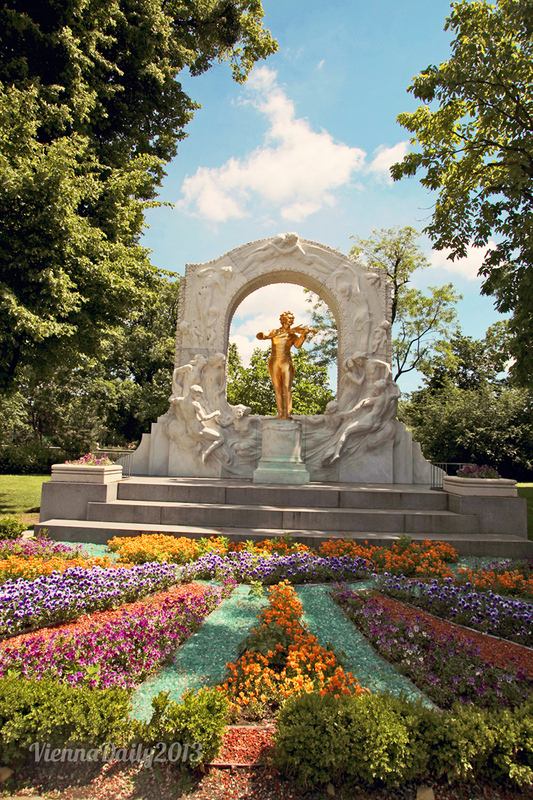 Johann Strauss monument at the City park. This is perhaps one of the most photographed statues in Vienna. It has become a representation of Vienna as well, along with the waltz the second Strauss’ composed; The Beautiful Blue Danube. Perhaps the location of Strauss’ statue is much easier to see than that of Mozart’s, the latter being at the back of the Hofburg Palace that we see it more often on prints than the other. 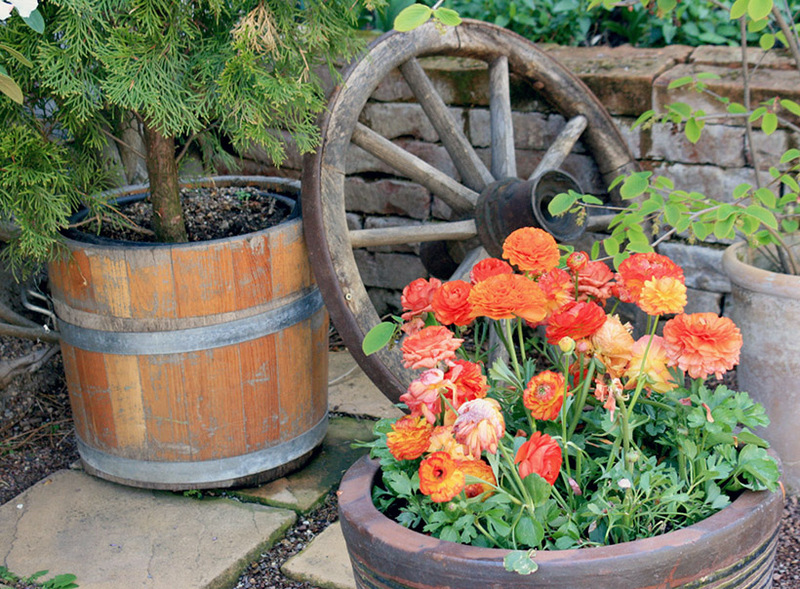 In spring and summer, the front area is always decorated with plants and flowers. Other busts of famous Austrians, fountains, and other installations are scattered around the park. There’s also a pond frequented by birds and ducks, and gladly many kids and even adults watch them to pass time. 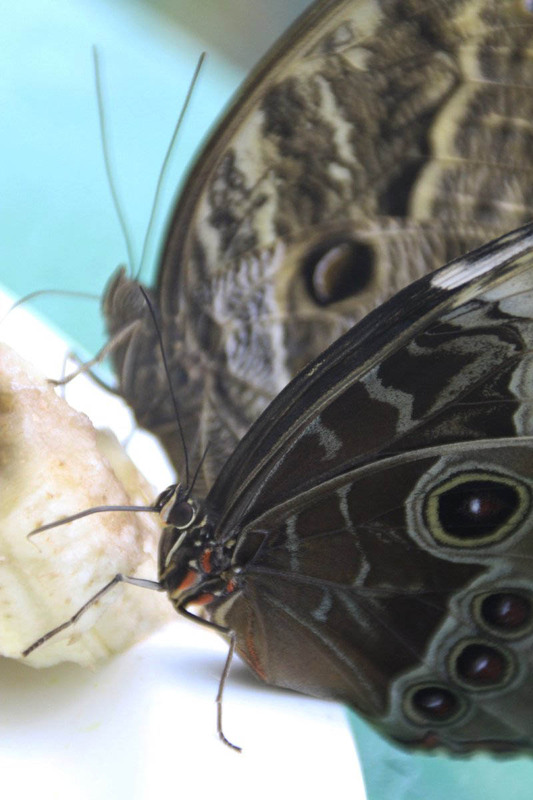 To this writer, it’s a spot to find inspiration from stillness and winged creatures. Opening Hours: The park is open 24/7. Nearest Train Station: Stadtpark (U4 Line), Stubentor (U3 Line) also accessible via tram 2 that circles the Ringstrasse. 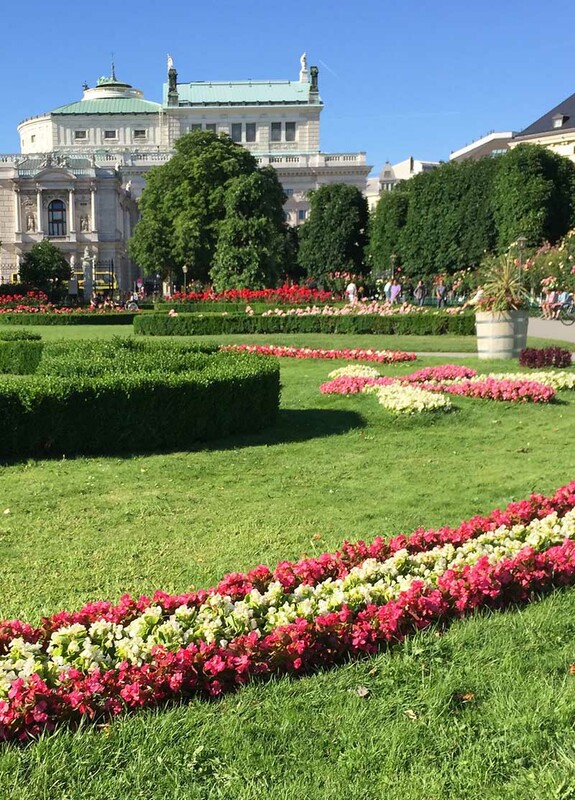 It is thanks to the Unsere Gärten team that Vienna’s corners, building front lawns are beautified with flowers. They maintain the landscaping and do the garden planning throughout the city. Vienna’s streets are a lot more enjoyable to walk on because of them. 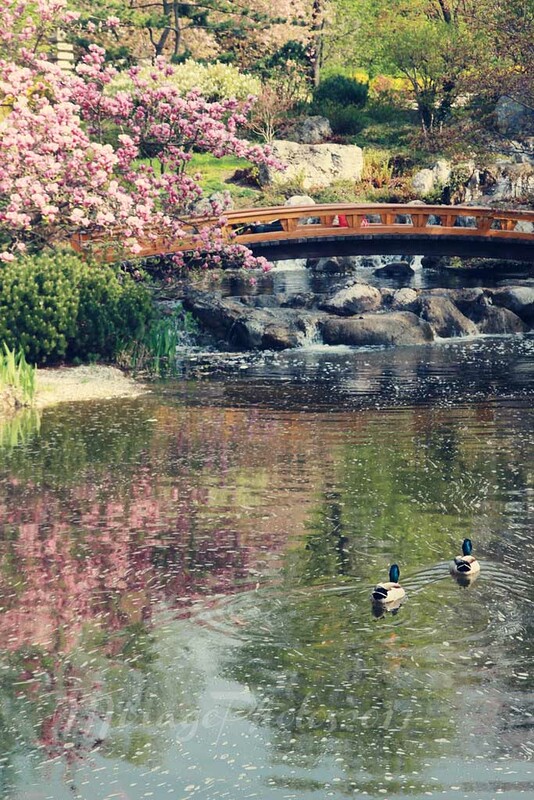 Despite being a busy hub, Vienna is a city that is not without greens and beautiful colors. 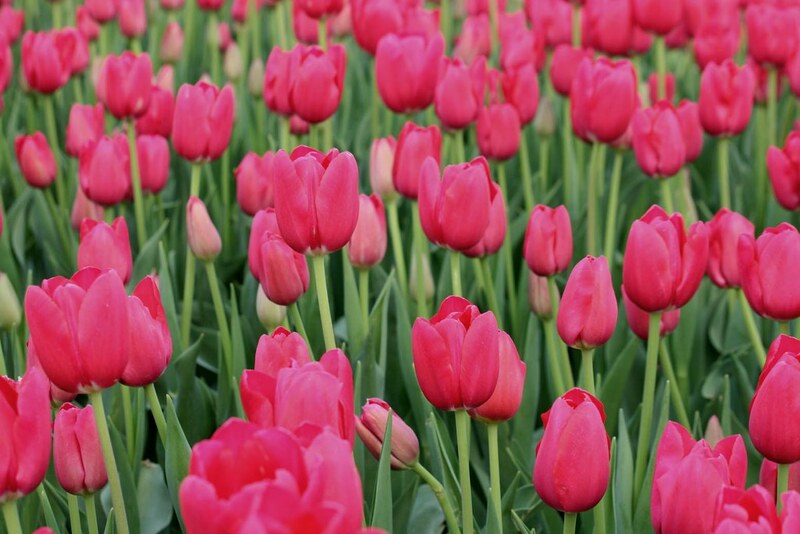 I’m sure you will find a bunch of bulb flowers in any corner, a flowering tree in front of a store, even buildings with thriving and climbing vines or balconies with pelargonia hanging down. This man-made island is one of the local favourite summer spot. There’s so much space to run around in, so many activities to do, sports to engage in, even swimming in pools and the danube itself. 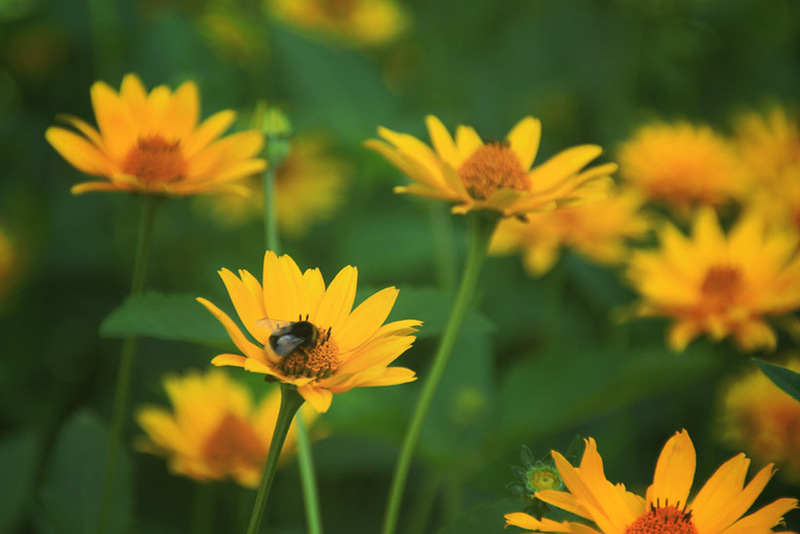 The island being a family park is also house to many bees, insects, and birds. It is also home to the Donauturm (Danube Tower) where a rotating restaurant is located, thus a tourist magnet as well. Nearest Train Station: Alte Donau (U1 Line), take bus 20B or just walk from the station. 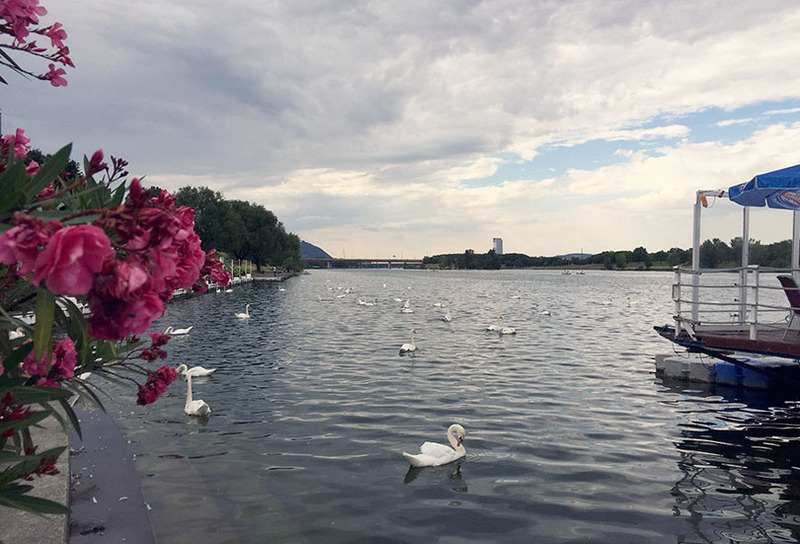 Tip: Take a ride around the island through the Liliputbahn…it’s like a kids’ train that can effectively make you see a lot of things at the Donauinsel quickly. There are a handful of water parks in Vienna, but the one at Floridsdorf seems the biggest. There are also water park playgrounds in different districts that kids can enjoy when summer gets too warm. There are a lot of play areas here both kids and adult can enjoy. There’s also a basketball court, table tennis tables, and workout machines (yes, out in the open) to use for free. The lake is home to many birds, and you might see some fish at times too. Kids admiring the daffodils, too. Nearest Train Station: Floridsdorf (U6 Line), take tram 31 that goes to Schottenring and get off just 1 station after you got in. Tip: Do not bring bread to feed the ducks and swans swimming by the lake. Bring grapes, spinach, or any other green leafy vegetables to keep them healthy, also keeping the rats away. 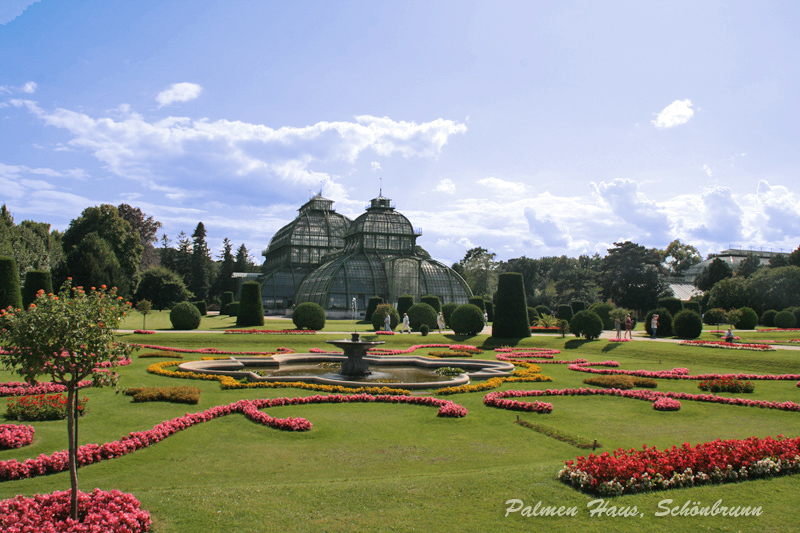 Aside from the Palm house at Schönbrunn, there’s another home to tropical plants in Vienna, the Burggarten Palmenhaus and an extended house, the Schmetterlinghaus. 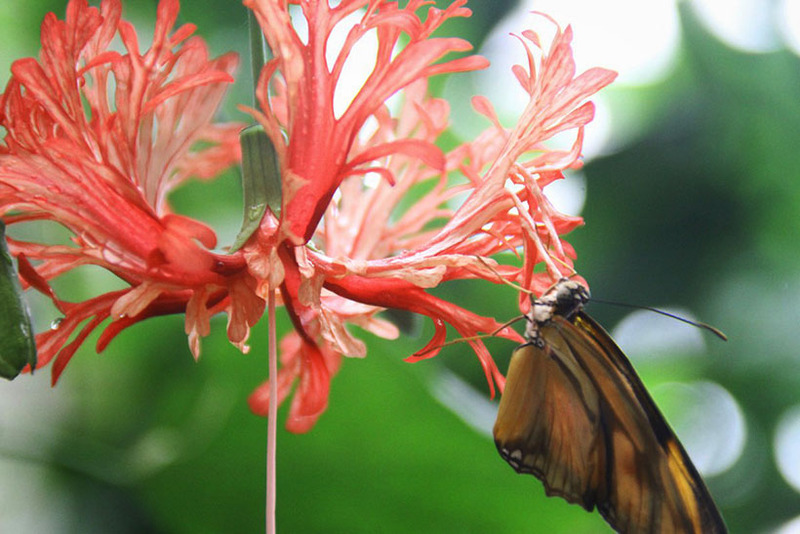 It is also home to beautiful butterflies, called a “butterfly zoo” in the 1st district of Vienna. 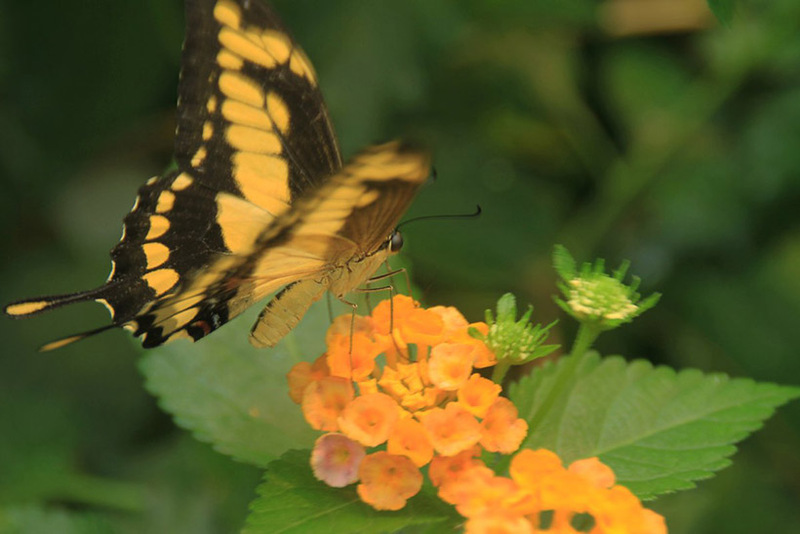 There are approximately 400 butterflies from the tropics, flying freely. There can be 150 different species, none of which fall under the protection of species. Nearest Train Station: Volkstheater (U3 Line), walk to the back of the Hofburg palace. The Belvedere Palace in Vienna is a palace complex built by Johann Lucas von Hildebrandt for Prince Eugene of Savoy. 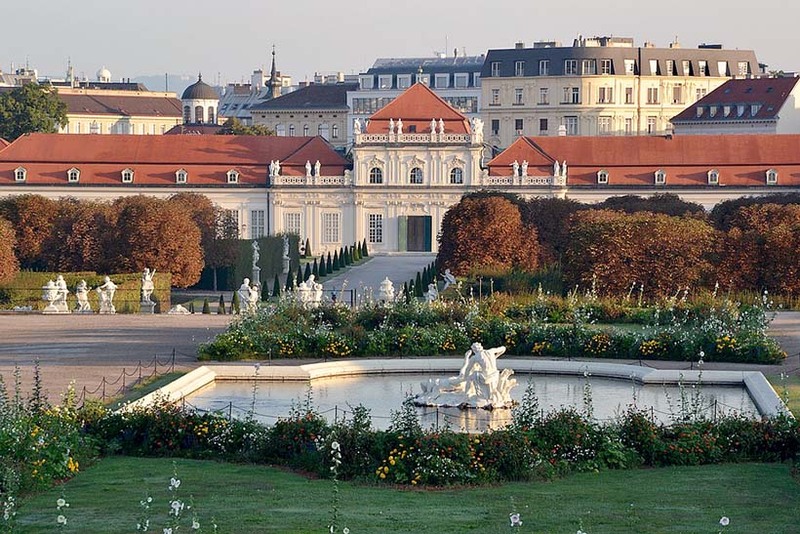 The Upper Belvedere and the Lower Belvedere form a baroque ensemble with the connecting garden. When you enter at the front gates to the Belvedere palace, the below photo is what you’ll see. On particular seasons, there’ll be little huts selling trinkets and food in front of this yard. This is the Upper Belvedere where works of Gustav Klimt among other Austrian artists are displayed. 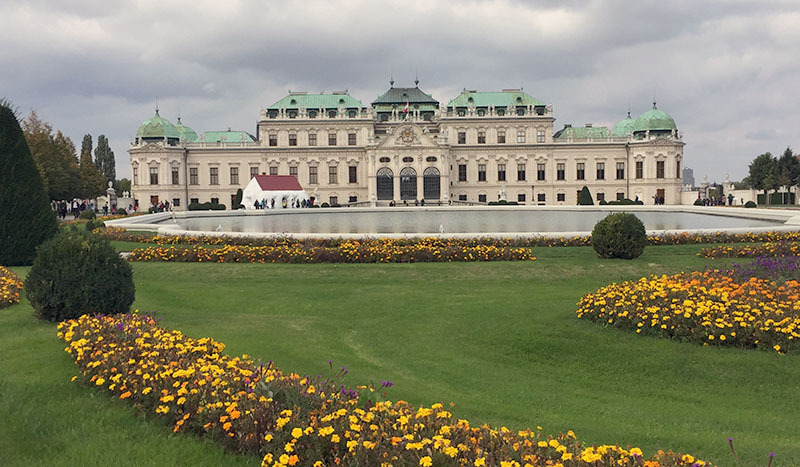 Going behind the palace, one will be welcomed into a vast garden that goes down to the Lower Belvedere, a smaller palace that also holds exhibits of different artists at a time. The Belvedere has an extended garden, the Alpine botanical garden situated to the side of both palaces. It serves as a conservation for some of the world’s alpine plants with large stones and gravel beds all around the area to help them thrive. 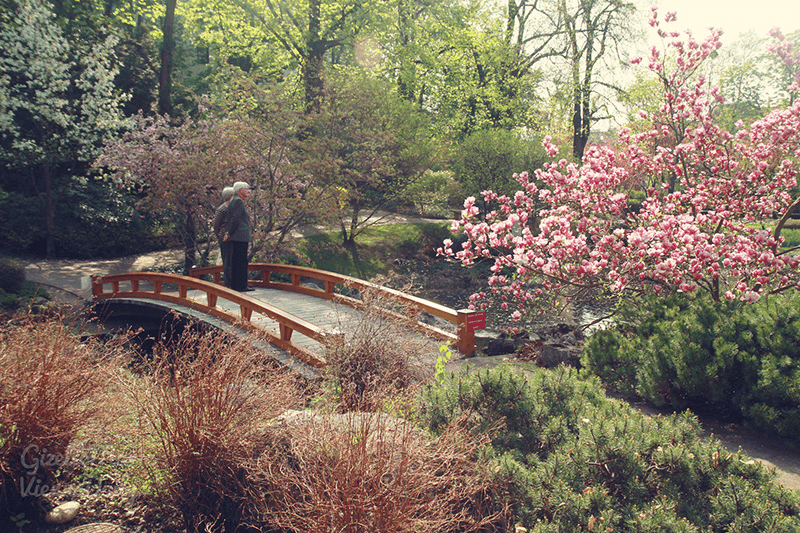 Further, the Botanical gardens of the University of Vienna can also be accessed. This garden is part of the University as a conservation and research area and occupies 8 hectares of land. Like all botanical gardens, the plants are name-labelled. 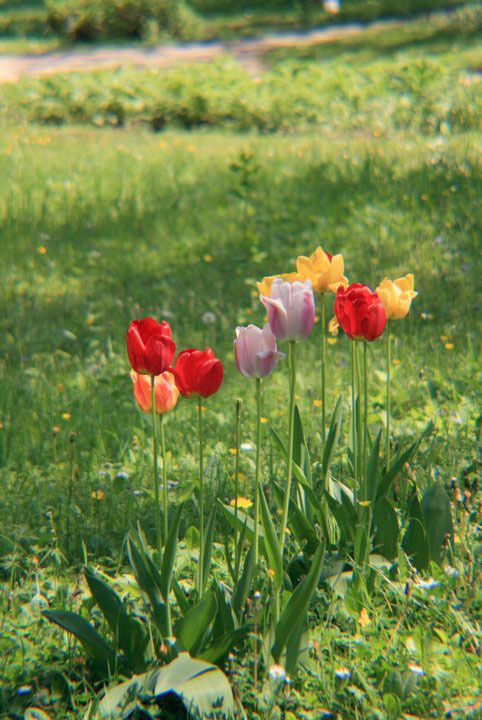 Tulips at the Alpine Garden. The Alpine garden is open every year from late March to early August. It only closes when the weather isn’t so favorable. 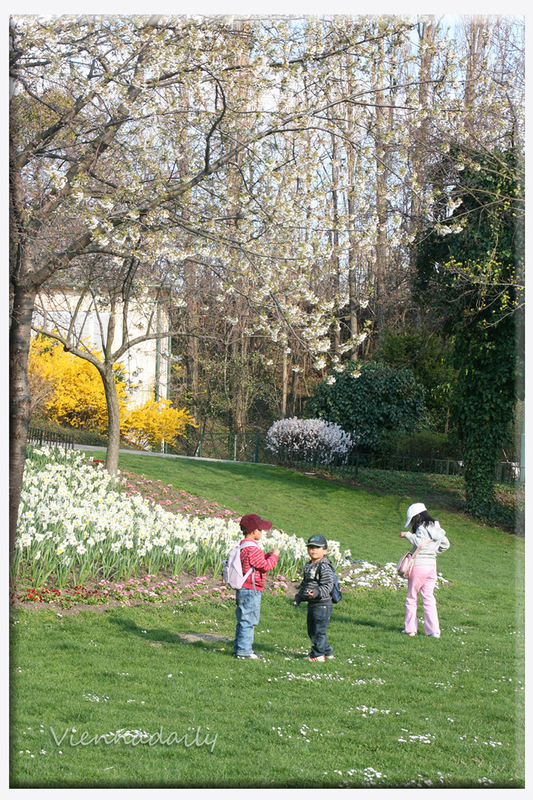 Probably every park in Vienna blooms a handful thousand each spring. And each neighborhood has a park residents can walk into. 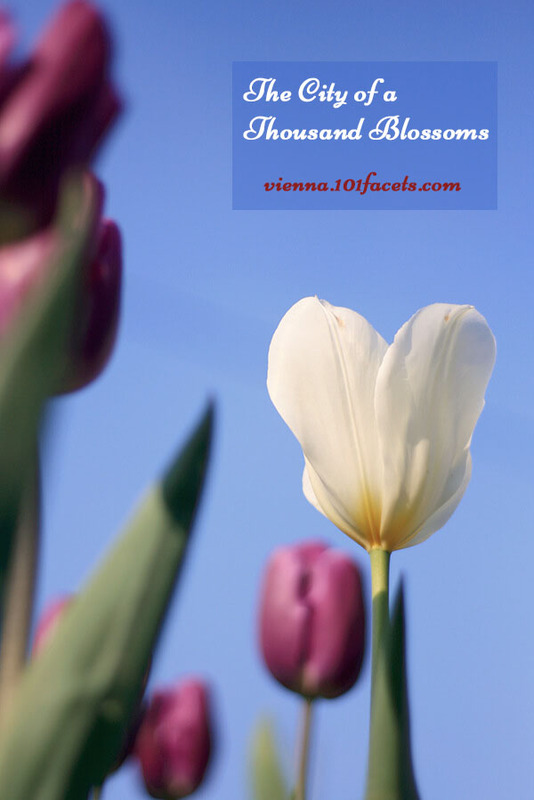 Although there might be allergies caused by the blooming come spring, the beautiful colors of the flowers and surrounding give more life to Vienna’s awesome sky and the the overall vibrance when mother nature dons green clothing. Walking past a blooming cherry tree. Next time we will feature Blumengärten Hirschstetten, Schlachthausgasse, and other streets/places in Vienna where cherry trees are lined up. Hallo! 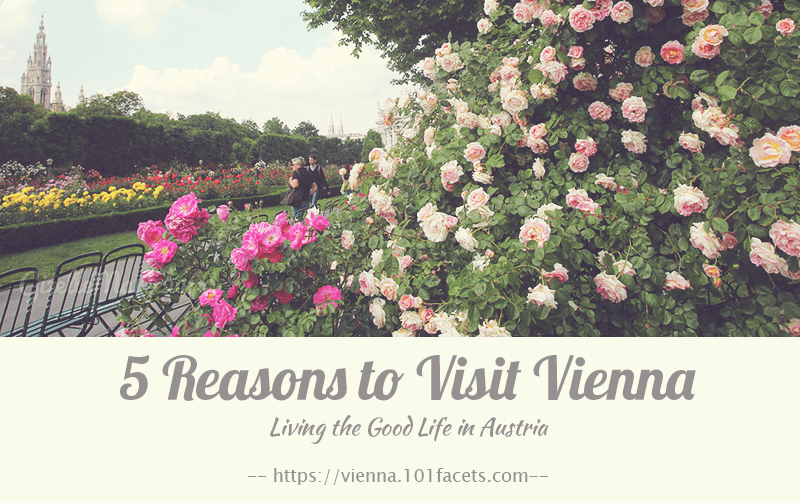 I've been featuring Vienna often on my blogs and on two domains - but I lost them recently. Here is an attempt to document my appreciation of this awesome city I've called home for the past 17 years. Enjoy! Text and photos are mine, unless otherwise stated. Vienna continues to be in my bucket list. Thank you for visiting and commenting on my photoblog. I like Naruto, too. I’ve visited lovely city, Vienna only once and, of course, took some photos. 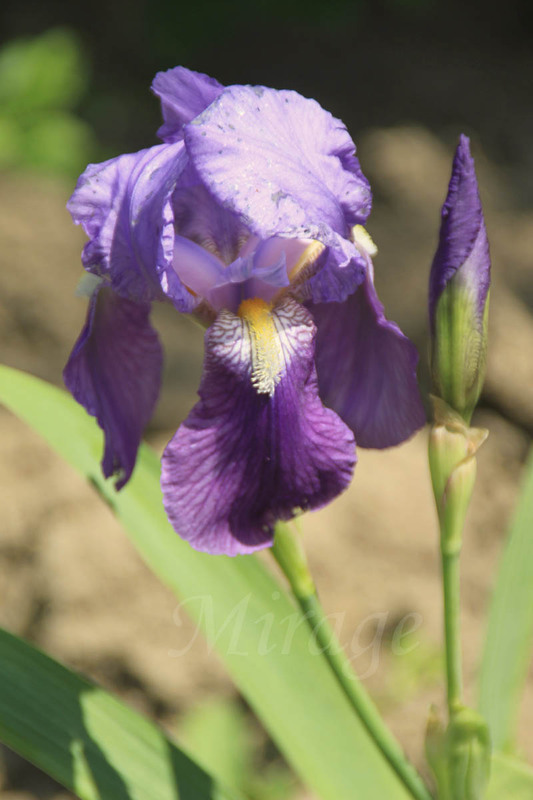 I have the other blog where photos taken outside of Asia are deposited. Going through your website made me feel like visiting lovely town, Vienna, again. Thank you for sharing pretty photos!! !